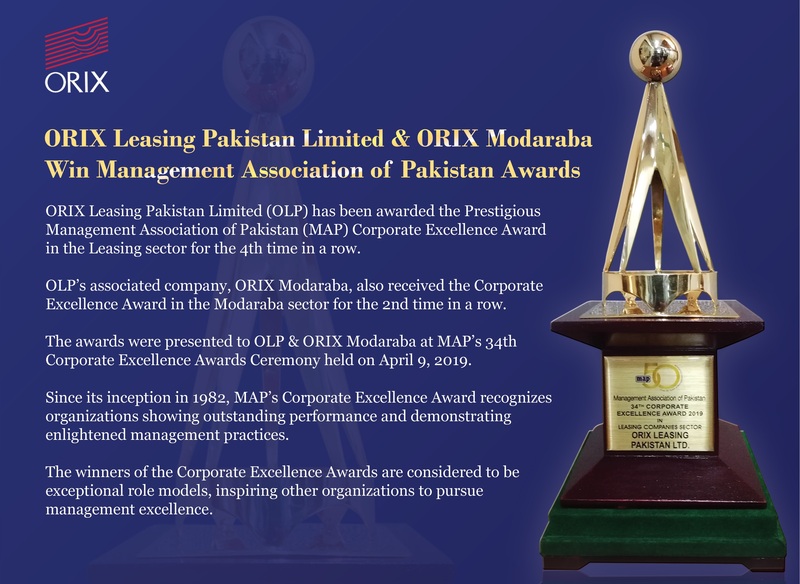 ORIX Leasing Pakistan Limited signed an MoU with Honda Atlas Cars Limited to envisage better quality service to ORIX customers. ORIX is proud to be Diamond Sponsor of NAS 18 Formula Student Germany Design Competition. 30 years ago leasing was largely an unheard of phenomenon in Pakistan. ORIX is continuing to work to optimize growth and shareholders' value by constantly taking on new business challenges.